While the federal government is launching a national investigation on the “equity” of organ distribution a female tech CEO flies across country to get a liver transplant. Soon, well-respected transplant nurse Sarah Golden and her best friend, Jackie, find themselves tangled up in an intense plot to uncover the answer to the question on everyone’s mind: Can you buy your way up to the top of the waiting list? Their pursuit of justice brings them to Miami, San Francisco, and Chicago—a sometimes fun, sometimes dangerous roller coaster ride from which they barely escape with their lives. 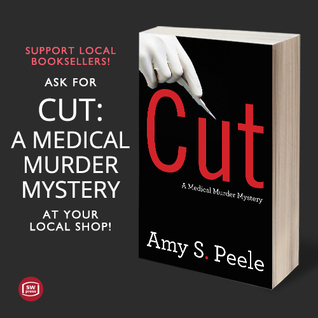 This is the first book in a planned trilogy of ‘medical murder mysteries with a mission’ and if this one is anything to go by it is going to be a cracking series. It has been written with passion on a subject that is close to the author’s heart. Sarah Golden works in a specialised field of nursing and is sort after for her skills and dedication as a transplant nurse. So when the opportunity comes up with a package that is hard to turn down she takes it. Having the experience that she has soon highlights something that is very off with one of her patients. Amanda is a very wealthy patient that has had a liver transplant. Then over hearing a one sided telephone conversation by Sergio, Amanda’s boyfriend just puts Sarah into investigation mode, with a little help from former nurse Jackie Larsen her best friend. This pair of super sleuth besties make a formidable team that are the equivalent of playing hide and seek with hobnail boots on. Bless them they haven’t a clue what they are letting themselves in for but what they lack in skill they make up in good intentions. Those hobnail boots soon tread on toes and soon puts their lives in danger. Will the pair have the guts to continue to delve into a corrupt transplant system where money talked and will it do more harm than good? There are some super characters in this book especially Sarah and Jackie who just bounce off each other. I love the names they make up for people that they meet and when Jackie is out and about on her own she is just wicked. Loved a scene with ‘Biker Bob’. Does nothing stop this woman! The story does switch between these very brave nurses and Amanda and her sleazy boyfriend making a story that unfolds and picks up sped as you go along. A brilliant start to this series, a great story, super characters and a little bit of romance of the way too. I wish to thank Kris Verdeck Publicist for a copy of this book which I have chosen to review. date coincides with April being National Donate Life Month.